Unfortunately, having a healthy lifestyle doesn’t always ensure that you’ll have the body of your dreams. You could resort to liposuction, but surgery of any kind can carry lots of risks and recovery time–not to mention a hefty price tag. Instead of having to go through traditional liposuction, liposuction Laser technology can help eliminate fat from targeted areas on the body without the need for anesthesia, incisions, or risks associated with an invasive surgical procedure and an extended period of recovery. Before heading over to a cosmetic surgeon, take a moment to consider the benefits of cold laser technology as part of an overall method to maintain weight and those pesky problem areas. 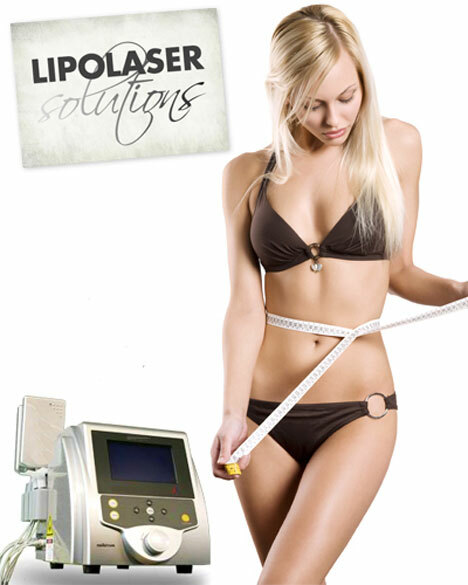 Liposuction Laser Technology: How Does it Work? Cold laser “liposuction” is not actually liposuction (although lasers are sometimes used in traditional liposuction procedures to reduce swelling and promote faster healing). When you decide to have cold laser therapy, you’ll sign up for several sessions spaced out over the weeks. You will determine with your doctor how many sessions you’ll need. Your practitioner directs the light from the cold laser over your problem areas. This energy works with your body physiologically–you can’t feel it at all. A small temporary pore develops on the fat cells you target. The fat within those cells (but not the cells themselves) slowly leaks out of the cell and is then processed by the body like any other toxin. Slowly, your body will naturally rid itself of the wayward fat, leading to a slimmer physique over the weeks. Most of the time, the thighs, waist, and hips are the ideal parts to treat with cold laser technology. Other areas that can benefit from this particular technology are the buttocks, stomach, chin, arms, and love handles. It really just depends on your unique body’s problem areas. Cold laser technology isn’t for everyone. If you are obese, overweight, or lack the desire to work toward a healthy lifestyle, cold laser therapy isn’t for you. The procedure is ideal for healthy people with some problem areas that are difficult to get rid of. This procedure empties fat cells without destroying them, so without a healthy lifestyle following the procedure, the cells will begin to grow again. Even though results are often seen within a week following the procedure, you are in complete control of the long-term benefits. Consuming a diet that is balanced and healthy, as well as maintaining your new shape through a regular exercise regime are the keys to ensuring the fat will stay away. Hate exercise? You probably just haven’t found your ideal workout yet. You can even take this online quiz to see what type of exercise is best for you.